If national-security reporters are ever replaced by robots writing boilerplate stories, blame it on the fact that U.S. military policy has become so predictable and repetitive. 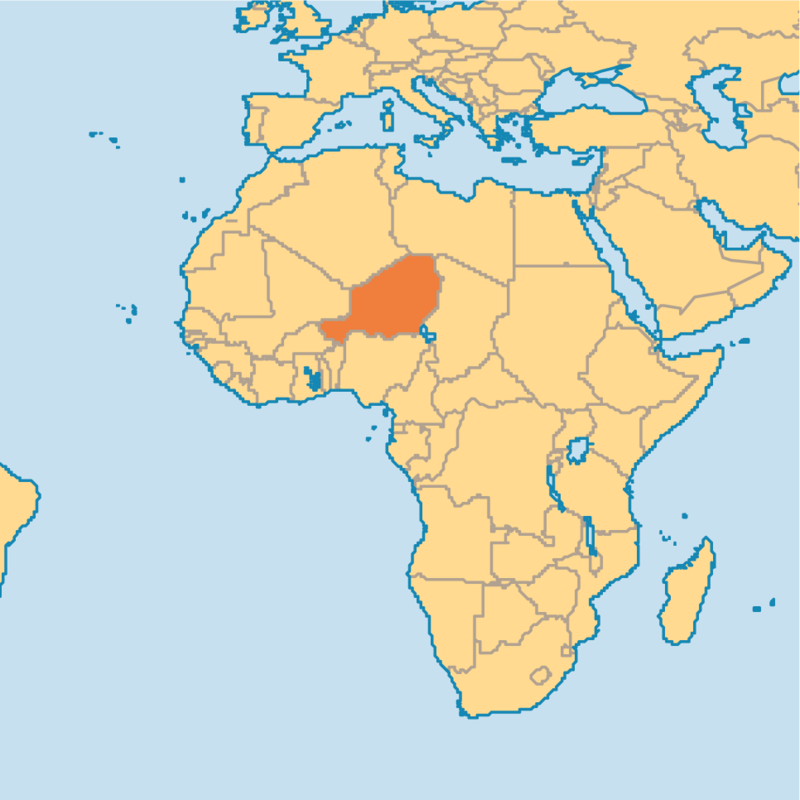 A map showing the African nation of Niger. Back then, the story could just as well have been set in South Asia, where Pakistan was also a major target of CIA and military drone strikes. Today it could apply, with only a few word changes, to new drone bases in Africa that target jihadists across the vast and thinly populated Sahel region. It’s not clear whether the Trump administration even knows what terrorist groups to target. Numerous armed bands operate in the vast desert region, where ethnic and tribal disputes are rife. Nor is it clear what critical U.S. interests are at stake. Take a look at a map of Africa and see if you can identify anything that most Americans would find worth fighting over within a one-thousand-mile radius of Niger. Nonetheless, the Trump administration’s response is the latest predictable move in the action-reaction cycle we have seen so many times since 9/11: Washington sends troops to the Middle East, South Asia or Africa to wage war against terrorists. The terrorists kill some of the Americans, so Washington sends even more troops, drones and bombers. In the process, invariably, some civilians die. More terrorists are born. Soon the United States is building more far-flung bases and waging war in yet another country, without explicit congressional authorization. As a military strategy, this bipartisan strategy has been a dismal failure. 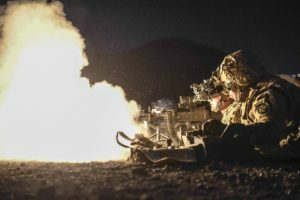 At a cost of several trillion dollars, U.S. military interventions in Afghanistan, Iraq and other countries have succeeded only in growing the numbers of terrorists and insurgents and widening their geographic footprint. In Yemen, for example, drone strikes and Joint Special Operations Command missions in late 2009 and early 2010 killed dozens of civilians, fueling recruitment of local Al Qaeda ranks. After one such attack with cluster munitions killed 35 women and children in 2009, Princeton University’s Gregory Johnsen called the Obama administration’s strategy “incredibly dangerous” because it would draw new support to radical jihadists — as indeed it did. Four years later, another U.S. attack wiped out a wedding procession, causing nationwide outrage. Yet the Trump administration has dramatically increased the pace of drone strikes and other military operations in Yemen, including a botched raid in January that killed “scores of civilians” and one U.S. commando. That rosy assessment would come as news not only to the people of Yemen, who have seen Al Qaeda thrive since the United States and Saudi Arabia expanded that country’s war, but also in Somalia. The East African country recently suffered the worst terror attack in its history — a truck bomb that killed more than 300 people in the center of Mogadishu. That attack, according to news reports, may have avenged a “botched U.S.-led operation” against al-Shabaab insurgents in August, which killed ten civilians, including three children. Few Americans are aware of the scope of U.S. military operations in Somalia, where Washington is fighting one of its many undeclared wars. American drone strikes may have killed as many as 510 people in the country since 2007, according to the Bureau of Investigative Journalism, which tracks death and injury reports. In addition, the Pentagon has sharply increased the number of U.S. soldiers in the country, from 50 or so early this year to more than 400 today. On March 30, President Trump declared Somalia an “area of active hostilities,” giving the Pentagon authority to conduct air strikes without interagency vetting to minimize civilian casualties. The decision was quickly followed by a wave of suicide attacks by al-Shabaab against Somali government forces. The head of the U.S. Africa Command has called Somalia “our most perplexing challenge,” but Niger surely ranks high on the list. 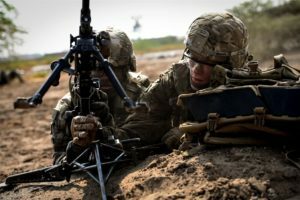 Its contingent of 800 U.S. soldiers is one of the largest of several dozen low-profile U.S. military deployments on the continent. The proposed expansion of drone strikes to that nation “would amount to a significant escalation in American counterterrorism operations,” according to NBC. To date, drones flown by the United States out of a base in Niger have been used only in Libya and Somalia. The base was approved by the Obama administration in 2014 to target “emerging” terrorist threats in the Sahel. The United States already has hundreds of soldiers stationed in neighboring Cameroon, as well as the Democratic Republic of the Congo, Central African Republic, Uganda, South Sudan and other nations — some 6,000 troops in all of Africa. Nick Turse, author of Tomorrow’s Battlefield: U.S. Proxy Wars and Secret Ops in Africa, reports that the U.S. military now conducts an average of nearly 3,500 missions per year on the continent, an “explosive” increase of 1,900 percent since the U.S. Africa Command was created in 2008. 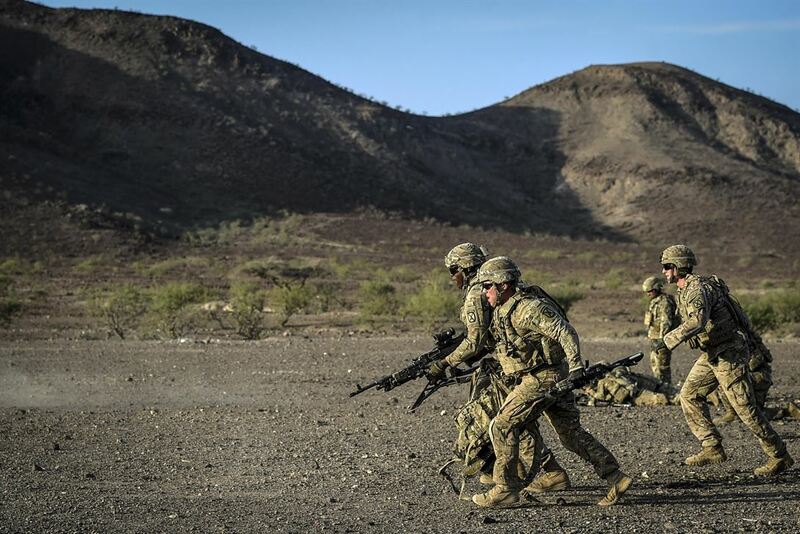 “The huge increase in U.S. military missions in Africa over the past few years represents nothing less than a shadow war being waged on the continent,” said William Hartung, director of the Arms and Security Project at the Center for International Policy. “These findings throw into stark relief the question of how counter-terrorism and wider security functions of governments in at-risk environments conduct themselves with regard to human rights and due process,” concludes the report, based on interviews with more than 500 former members of militant organizations. Similarly, the Stimson Task Force on U.S. Drone Policy, composed of former senior officials of the CIA, Defense Department and State Department, warned in 2014 that U.S. strikes had strengthened radical Islamic groups in the Middle East, Africa and South Asia. These findings seem fully applicable to Niger, where “The growing foreign military footprint in the country appears to have fed a local backlash against both the government and Western countries,” according to the Congressional Research Service. Since the killing of the U.S. soldiers, Niger authorities have made things worse, rounding up village leaders and ordering thousands of people to evacuate the area where the Americans were ambushed in order to escalate the war on local militants. Unfortunately, the Trump administration has almost no one “working in the area.” President Trump only got around to announcing his intent to nominate an ambassador to Niger on September 2. The administration has deployed only five ambassadors to a continent of 54 countries and has not yet appointed a senior policymaker for Africa in the State Department. Africa is suffering from a host of maladies, including ineffectual and corrupt governance, severe climate change, crumbling infrastructure and technological backwardness — as well as civil wars and insurgencies. The United Nations just warned that the continent needs 11 million more doctors, nurses and teachers to prevent a “social and economic disaster” by 2030. Trying to address these complex ailments through increased U.S. armed intervention will simply aggravate the problem, as it has in so many other parts of the world. That should be the real lesson we take from the tragic failure of the recent U.S. military mission in Niger, and from the broader tragedy of our post–9/11 response to terrorism abroad. 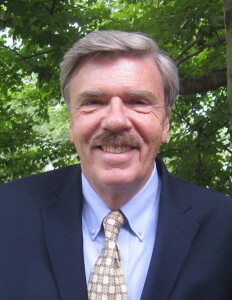 Perhaps I’ve grown too cynical but I continue to be perplexed that well-informed & well-intentioned authors, like Johnathan Marshall, continue to write as though the U.S. global goal is to actually prevent terrorism… how is that in any way productive for the military-industrial-congressional -Christian complex? Their only vested interest is in continued military actions, the more, the merrier (for them). Part of changing this status quo is to begin telling a more truthful narrative rather than approach the issue as a misguided policy of otherwise ‘responsible adults’ and, rather, expose the cynical blood-soaked agenda of those in power for what it is. Once people are all on the same page, in the same book, they can begin making productive change. Until then, bupkis! Pentagonians are simply using their skills to create growth opportunities. Remember the Bush Administration mantra(? ), if we don’t fight them over there, we will have to fight over here. Along with that is the suggestion that killing terrorists is a zero sum game. There are 100,000 terrorist, we kill ten, there are now 99,990. Someone discovers there are now 150,000 terrorists. Well, the first figure must been an underestimate, so now we have 149,990 because we did kill 10. But we’re still headed in the right direction. We know that is folly of course, but the deadly business of mission creep is abroad, with its agents and fellow travelers and the war on terror is a vehicle to carry them. Who are the fellow travelers, mostly it is the easily spooked American people. If we had a scorecard for violent deaths in America, where would those caused by terrorists rank. But which deaths get the most attention. I’ve been saying it for years. There is no War on Terror. It is a propaganda phrase like “Coke, the real thing”, Nike’s “just do it”, or “This Bud’s for you”. It is a marketing phrase that means nothing and manipulates your understanding of events. Yes there are people in the bowels of the deep state who invent this stuff. It’s called war propaganda. Read chapter 6 of Mein Kampf to learn how this manipulation works and how powerful it is. If you listen to 870 AM radio in Los Angeles, you hear them broadcasting war propaganda to the American Jewish Community as a war for Israel. If you go to east Florida, you hear AM hate radio broadcasting war propaganda to the fundamental Christian community as a holy war against Islam. They target their audience. They pander and tell their lies. They smear their enemies. As others have stated above, war is to conquer territory, conquer resources, and conquer people. Nobody goes to war for an idea, a concept, or a noble cause. Just another lingering mess from the previous administrations’ Mr. Drone “I’m good at killing people” President. Nowhere is the catastrophe in Yemen addressed in our country’s media. Not the starvation or the cholera epidemic; we, along with England supply Saudi with weapons and artillery to level an innocent people that are not getting help to defend themselves. It is kind of surprising that our military contractors are not also trying to sell Yemen weapons, too. Do birds of a feather support each other? “states like Russia, Syria and Iran exist as natural allies to the United States and Europe in the fight against terrorism. And that would be true if not for the fact that said terrorism is actually a deliberate product of US-European foreign policy. Were the West to truly wage a war on terrorism, it would already be deeply cooperating with these nations on the front line against groups like Al Qaeda and the self-proclaimed Islamic State. “Nonetheless, the Trump administration’s response is the latest predictable move in the action-reaction cycle we have seen so many times since 9/11: Washington sends troops to the Middle East, South Asia or Africa to wage war against terrorists. The terrorists kill some of the Americans, so Washington sends even more troops, drones and bombers. In the process, invariably, American soldiers indiscriminately kill civilians who, while posing no threat to the American soldiers, just happen to be in the wrong place at the wrong time (namely their home country) and are simply trying to live their lives. If the author had any shred of honesty and/or decency he could have at least stated that in a way that portrays reality. They dont “invariably die”, the are killed, by us. “Military” is just another name for cruel and stupid. What do you expect when you train a gang of killers? A world without armies is a world at peace. Don’t know how to get there? Simple: quit “serving” by joining the military. Serve your country by refusing military enlistment. Drafted? Don’t go. Resist conscription. Can’t do any thing about it? Then prepare to watch our world and humankind be destroyed by violence. To pretend that we have no choice, that war is an inevitable part of being human is a lie and a transparent cop-out. I don’t know why the author of this article says, “In the shadows, the U.S. special operations war on “terrorists” keeps on expanding around the globe, now reaching into Africa where few detectable American “interests” exist, writes Jonathan Marshall”. We shore up regimes in Africa that are extremely undemocratic and repressive, but they are regimes that work hand and glove with the corporate world, and US interests, and stability trumps everything. That is our purpose in being there. When anything threatens that stability and civil wars break out we certainly don’t deal with the inequities of these regimes, but train their militias to be more effective in putting them down, and engage in drone warfare which kills civilians and ultimately give rise to growing numbers of “terrorists.” So much for our love of democracy. Did “War Criminals,” Arms Dealers, Dictators, Despots and “Useful Idiots” Attend the United Nations (UN) Meeting in New York? Surely the USA have a military presencephalitis in these countries for a more tangible reason then Terrorism? 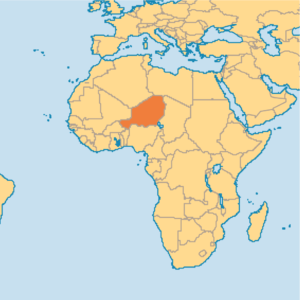 Uranium in the case of Niger. We work hand and glove with repressive regimes in Africa to protect corporate interests on a global level, and stability is a necessity. That’s why we’re there, and care nothing about democracy, as we so often claim, or peaceful resolutions to the civil wars that break out as a result of these corrupt, repressive governments. I should have added this is an old story. Colonialism was over after WWII, more or less, then came the uprisings and initially they were crushed, but eventually corrupt regimes took their place and were beholden to the former colonial powers. Neocolonialism. The corporate world then had the freedom to drain the wealth from these countries, with little left over for the people. That’s what all of this is about in Africa. And remember what happened to Patrice Lumumba when he tried to distribute his countries wealth to it’s people. An old story really. Your comments are always well informed. Patrice Lumumba’s murder – with CIA involvement in it – was such a tragedy. All he wanted was to nationalize companies owned by The West so that the wealth of their natural resources can be used for the the people of Congo. All those nationalist leaders in Africa and in Asia too were taken down one by one. We are in Africa not to fight terrorism. We are their to control them, and exploit their natural resources. Just watch it. All those hungry millions in Africa will overrun Europe in the not too distant future. There will be justice done one way or the other. While the USA seems to have no future direction or long term strategy, Russia and China especially, have a real plan for the future. They are building infrastructure to insure that trade can proceed with an eye toward keeping emissions lower in the future. The US wastes, I repeat wastes, $billions on failed weapons systems, unnecessary military bases and excursions everywhere that, frankly, are not needed, while using the ‘excuse’ as the continuing war against terror. Seems even factions of the EU are starting to see that all this military build up is an unnecessary wasteful expense better used for more positive projects. From my perspective the US is setting itself up for a world war and if so they will lose; the empire will end tragically. Is there a person with even a tiny amount of sanity who canNOT see that the whole “TERROR” thing is a FABRICATION to justify exactly EXPANDING THE EMPIRE?! ………………Sigh……………. Yes, it’s a pretext…. which is underscored by the fact that the U.S., NATO, Israel, and Gulf state allies have been supporting in Syria the very same terrorist organizations it is fighting elsewhere. (Fortunately, it looks now like Syria, with the help of the Russians, have successfully thwarted that aggression.) The GWOT is a joke. People have to have a pretty short memory not to remember when Osama bin Laden was our ally. The U.S. uses terror when it advances certain of its interests/objectives, and opposes it when it goes against those interests. Meanwhile, the American public is being cynically manipulated by this fabricated narrative. Col. L. Fletcher Prouty was an Air Force pilot who ferried cargo and VIPs during WWII. He was U.S. military’s liason with the CIA when JFK was killed. He knew a lot of deep inside information. His book, “JFK: The CIA, Vietnam and the Plot to Assassinate John F. Kennedy” is a classic in books on the Deep State. At the end of WWII he expected the mountain of military equipment in the Pacific theater to shipped back to the States. To his surprise, he was told it would be going to Southeast Asia. He later inferred this was in preparation for war in that region. 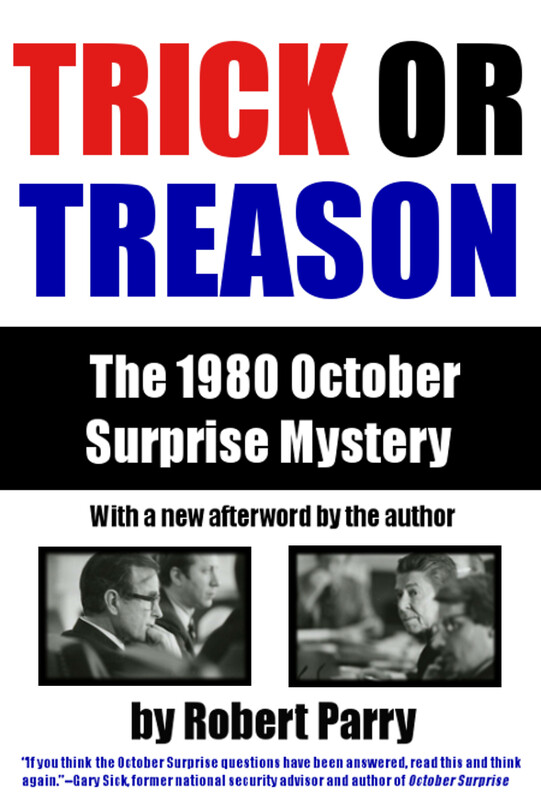 He describes in some detail how the Vietnam war was manufactured by the CIA. He inferred that the purpose of the Vietnam was war profits. It was manufactured to pick up the slack when WWII ended, since Europe would not handle another huge war at that time. The Mideast conflagration is near a peak. So it is entirely sensible that the war profiteers would be looking for their next war theater. Africa today is like Vietnam in the 1960’s, a region of relatively defenseless “fish in a barrel” on which huge military budgets can be expended. The Africa operation sound like a re-run of the operation Prouty described in such detail. 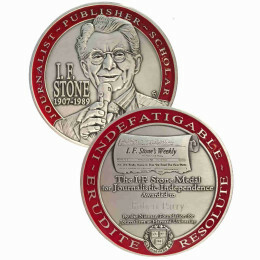 Prouty’s authoritative and detailed testimonies have been suppressed in America’s corrupted mainstream landscape. I highly recommend them. To make the Captain Obvious point: this is EXACTLY what happens when your country turns into Sparta. A Washington militarist Zionist behemoth now runs roughshod across the globe. I always get these vivid images of a future Asia where Chinese, Russian, Iranian and other Eurasian entrepreneurs are busy working on some massive BRI project while off in the distance you get the visage of some small random U.S. military base, with American soldiers aimlessly wandering about. The juxtaposition is striking and conjures up exactly what the future probably portends: a New Silk Road working stoically around and through Washington-Zio militarist madness. American citizens, consumers, business interests, and diplomats sitting pathetically on the outside looking in! At the Western end this might begin with a Levantine Common Market (1) which eventually may include Turkey, Syria, Lebanon, Israel, Palestine, Jordan, Iraq, Egypt, and Libya. The LCM will have major ports on the Mediterranean and leading to the Indian Ocean. It will have a trading history older than that of Europe with which it has experienced much historical ties. There is little doubt that it could significantly increase its food production. There is also little doubt that its energy production can become 100% renewable. The Arabian Peninsula remains outside for obvious historical reasons although Yemen and Kuwait might become associate members soon. The LCM is not an image. It is a potential reality. If the LCM could also create a common political structure, that would be the final nail in the coffin of ISIL. Why would any Arab want ISIL with an operating, prosperous, and quite powerful LCM? And the LCM would forever bury the vile Sykes-Picot agreement and its equally vile consequences. I hold that something like this was what Nasser tried with the UAR. He was too early and too much focused on governance instead of economics. He also got only grief from the Western powers. There are plenty of roadblocks on that route. Israel is the major one. If it remains stubbornly obstructionist then create the LCM without Israel and make Beirut its capital. After not too many years Israel will beg to be admitted. What need the Arabs do? Begin to understand why mainland China has been this incredible economic success: no religious strife. Hence you must completely bury the Sunni-Shia and other religious hatchets. Also leave tribalism and develop stronger nationalism. If religious hatred and tribalism continue there will be no LCM. That should be the future for that region which our governments ought to support. The US policies since 1918 have been blind, disastrous, and completely ignorant of unintended consequences. The current administration is no exception. (1) The EU actually began with the Benelux. How about the Lebegysyr? Yes, I hold that Lebanon is the kingpin of this scheme. It’s apparent that the U.S. does a better job of recruiting for al Qaeda than it does recruiting new troops into it’s own U.S. Military. Seriously with over budgeted failing aircraft, and with naval ships crashing into frigates, is it not a fact that the U.S. is over stretched in it’s military endeavors?